Fourth-year Michael Bennett en route to a successful jump in a recent year’s meet. The men’s track-and-field squad will be sending one lone athlete to the 2016 NCAA DIII Outdoor Track and Field Championships this weekend at Wartburg College in Waverly, Iowa. The Championships for both the men and women will begin on Thursday and continue through the end of Saturday. 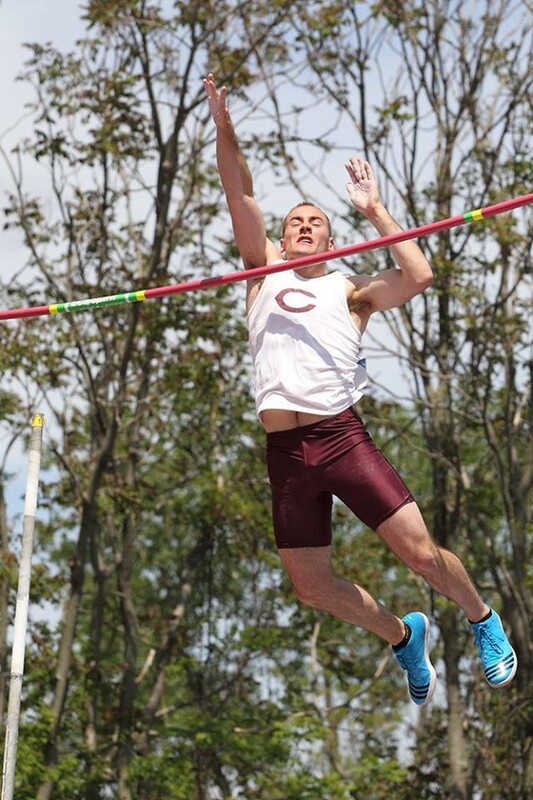 Fourth-year Michael Bennett will be representing the Maroons alone in the pole vault at nationals in his fifth career trip to the NCAAs. He comes in as the 18th seed, with a seed height of 4.91m. In 2014, Bennett was the national champion in the pole vault and outdoor national runner-up. Bennett’s national title in his second-year indoor season was UChicago’s 14th individual national championship in school history, and just the eighth national title in track-and-field. After a brutal injury to his hamstring this past summer, Bennett’s fourth and final year has not been easy. Yet, Bennett’s recovery appeared seamless, as he came back to claim the UAA title in the pole vault at the end of April, just weeks after his return to competing. Now, with a full recovery and UAA Championship under his belt, Bennett feels prepared to bring the national title back to the South Side for a second time. Bennett will also be present to support the eight Maroon women who will be representing Chicago at nationals in six various events. These women are second-year Khia Kurtenbach, fourth-year Nelson Trotter, third-year Michelle Dobbs, second-year Megan Verner-Crist, third-year Madeleine Horvath, first-year Nicole VacaGuzman, fourth-year Mikaela Hammel, and first-year Emma Koether. Bennett will compete on Thursday at noon for the national title.